The American Board of Psychiatry and Neurology (ABPN) has revised several of the requirements in its Maintenance of Certification (MOC) program to make them more flexible for psychiatrists. APA had argued for the changes extensively over the last year after hearing protests from many of its members. Beginning immediately, the ABPN said, feedback modules now will require that diplomates collect feedback from only one of the following options, making patient surveys just one of the options: five patient surveys, five peer evaluations of general competencies, five resident evaluations of general competencies, 360-degree evaluation of general competencies with five respondents, institutional peer review of general competencies with five respondents, or one supervisor evaluation of general competencies. 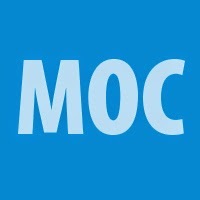 In addition, requirements for the 10-year MOC program have been modified to include 300 Category 1 CME credits, 24 Category 1 credits from self-assessment activities, and 1 performance-in-practice (PIP) unit. Another change is that Lifetime Certificate holders will no longer be referred to as "not participating in MOC." ABPN will instead categorize them as "not required to participate in MOC." Also, Qualifying Quality Improvement projects will now satisfy PIP requirements for chart review. Deborah Hales, M.D., director of the APA Division of Education, emphasized that "APA will continue to develop MOC products and activities to assist our members with these requirements." Information about the MOC requirements is posted at http://abpn.com/.